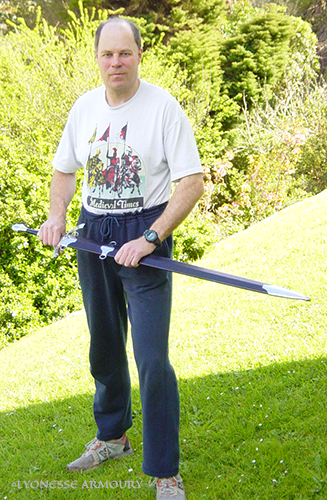 This is an example of a “practical fantasy” sword. It is not made to any historical pattern, but incorporated features the client liked. 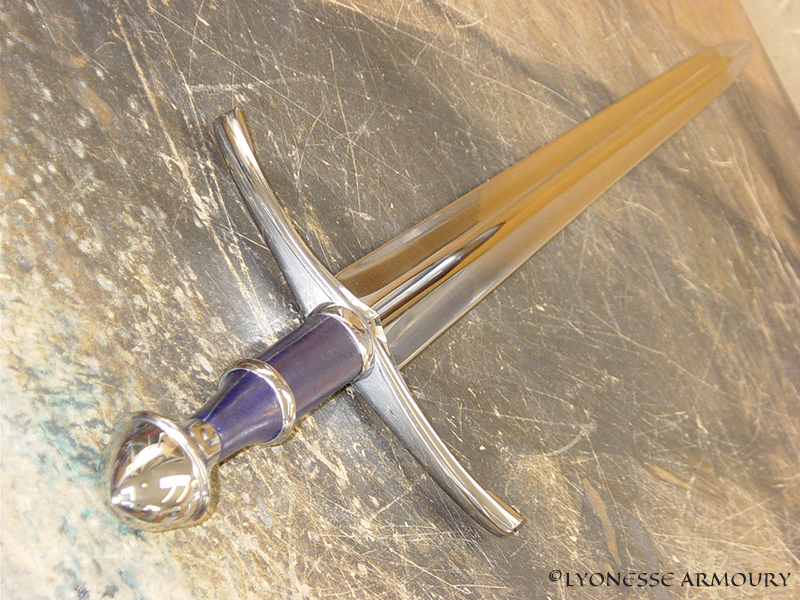 My task was to build them into a harmonious whole that works both as a practical sword and as an art piece. 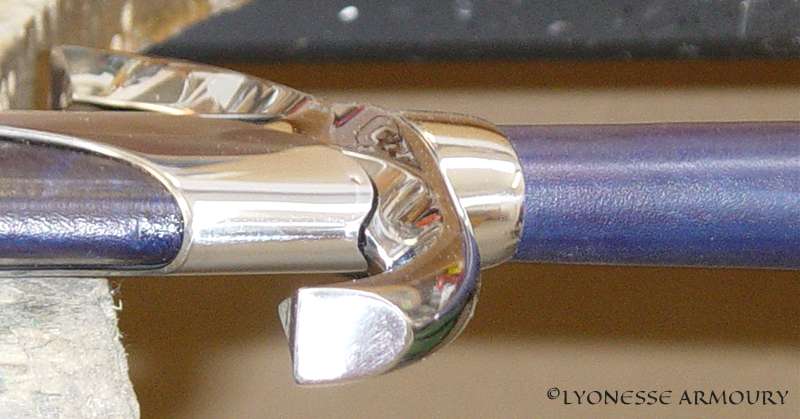 All the sword and scabbard parts are bright-polished steel. The blade is about 90cm (36”) long, and overall the sword is about 120cm (48”) long. The grip is made to be used either one or two handed, and the steel ring on the grip helps the user to “feel” the hand position. 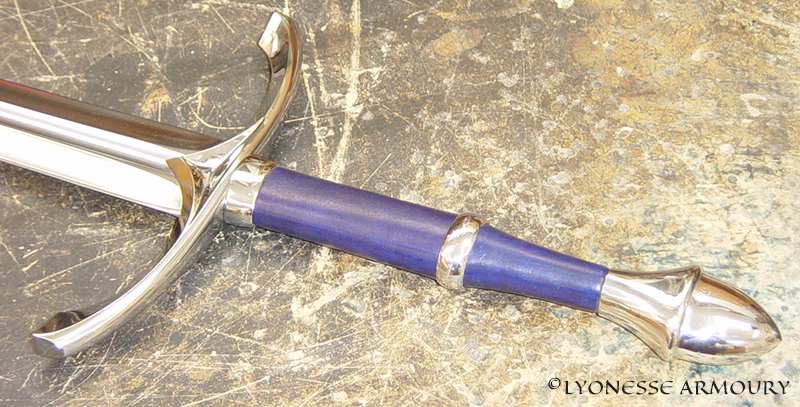 The sword grip and scabbard are wooden, and covered with blue leather. Here I am with the sword, for scale.